Choice of 2 depths - 300mm and 450mm. 1, 2, 3 and 4 door lockers fitted with galvanised security shelf to prevent any unauthorised access to the compartment below. Fitted with standard master cam locks. 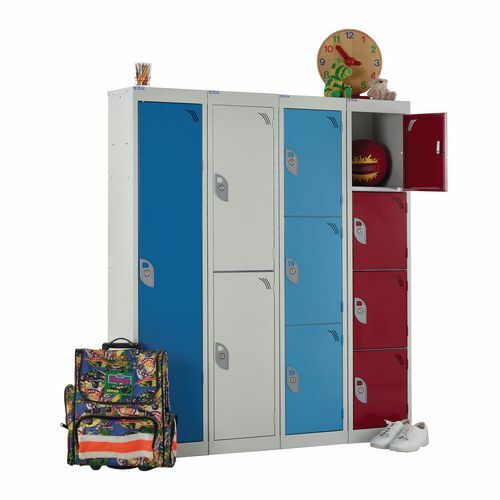 1 Door lockers are fitted with a top shelf and a coat hook. 2 Door lodkers are fitted with a coat hook in each department. Tested to Fire Classification EN 13501-1. Overal H x W: 1365 x 300mm.